Check out awesome cheap scooter deals as gathered by our community of bargain hunters. Not only can you get massive savings, you get to choose from the best offers available from your favourite online retailers, too. Have your brand new scooter delivered for free by looking for promotions and discount codes from Lidl, Very, ebay, Currys PC World, B&M, Groupon and Halfords. You can choose from a wide range of foldable scooters, electric scooters, 2-wheel scooters and 3-wheel ones. There's always that one awesome deal for you whether you're looking one for yourself or for your little ones. ENKEEO Kick Scooter with Height Adjustable Handlebar - £17.10 from Amazon! 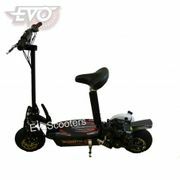 Where Can I Find Cheap Scooter Deals? Latest Deals has sales, discount codes and special offers for its members. 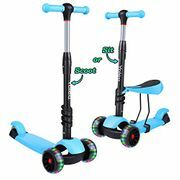 If you are searching for cheap scooters for kids, 3 wheel scooter for kids, stunt scooter or micro scooter, you are sure to find a verified deal here that will fit your budget. Our reliable team of money-saving experts and huge community of bargain hunters regularly look for the the best scooter offers and deals. 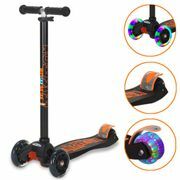 Get some money off when you buy your scooter from Amazon, Argos, Currys, eBay, Gearbest, Groupon, Home Bargains, Lidl, Studio, Tesco, The Entertainer, Very and other UK retailers. Amazon. Online shopping for kids scooters is simple with Amazon. From riding toys, trikes, and bikes – this retailer has a tenfold of options to choose from. Get the unit that you like without spending a fortune. Check the most updated offerings here at Latest Deals to save more. You can also get exclusive discounts and free delivery if you’re an Amazon Prime member. eBay. From toy scooters, scooters for adults & motorcycles, eBay has you covered. You can get a discount of up to 60% from a wide array of scooters on sale here. With eBay, you’re buying from a third-party reseller, and though you are protected by the retailer, it is still best to be cautious and always check customer feedbacks. Also, it is recommended to ask the reseller for the actual photo of the item you’re planning on purchasing. Groupon. Groupon has always been the easiest way to to get some serious discounts while unfolding fun activities for your children. It has scooters for kids which include cartoon-character inspired designs and a lot more. Aside from this, adults may also go for its foldable electric scooter that is a reliable road scooter. Enjoy every bit of your spending and save afterwards. Tesco. Browse Tesco’s online site and discover its wide range of scooters for kids at very reasonable everyday prices and discounts of up to 40% off on select brands and models. They even have something for adults to enjoy as well as different scooter parts and accessories. The truth is – picking a kick scooter for a kid is not the same with that of adults. It is never the same. Basically, there are many considerations and factors you have to review in order to succeed in the venture. What are they? What is the most appropriate scooter for my kid? Is my child at the right age for a kick scooter? Which type of kick scooter is right for kids per age? Which is user-friendlier – three-wheel or two-wheel scooters? What is the best for my child? Small or large wheeled scooter? A kick scooter builds the physical confidence of children and their motor skills as well. A kick scooter is an additional selection for an outdoor exercise or activity. A kick scooter is a way to prepare a kid to learn how to ride a bicycle. A kick scooter is a fun outdoor activity your family might like. Size. The physical size of your child is a major consideration. As a matter of fact, this is way important than his or her age. Try to assess if your kid can manipulate the scooter physically. Motor Skill. The overall motor skill of the person is also another. Is your kid ready for a kick scooter? Children are unique when it comes to their motor skills. Age will never be an absolute predictor of readiness. However, most begin from 2 to 3 years old. 2-wheeled or 3-wheeled kick scooter? Apart from physical ability, another big decision that has to be made is whether to secure a 2-wheeled or 3-wheeled kick scooter. Please understand that a child starting to ride may be okay with a three-wheeled scooter. Most especially if it is his or her first ever kick scooter. It is also appropriate for children two years old to five. On the other hand, a two-wheeled scooter is ideal for a child who is physically active. It is also okay for those who already know how to ride a bicycle. Basically, this version is quite complicated so it may not be suitable for starters. A small kick scooter or a large kick scooter? The decision to go for a small or large kick scooter may depend upon the body size and physical ability of your child. Typically, the size of the scooter is affected by the size of its wheel. In choosing the best one for you, the ability of your kid is again important. Make sure that the child can handle the bars, and that they are lower than their neck. If for instance, the handle bar is in front of the kid’s neck or face, then there is a possibility for it to cause injury, and even collision. Be cautious!